New Delhi: In its reply to the Supreme Court of India on the matter of genetically modified mustard, the union government has said that it will take another one and a half month to arrive at a decision. It told the highest court that it will convey its final position on whether to allow the commercial rollout of GM mustard crop or not after completing the final assessment until mid-September. It is important to note that the SC had granted time to the union government to apprise it as to by when it will take a “well-informed and well-intentioned” policy decision on the rollout. The apex court had on October 17, 2016, extended the stay on the commercial release of GM mustard crop until further orders. It had also told the union environment ministry to seek public opinion on such seeds before releasing it for cultivation purpose. The union government is now expected to clear its position on allowing or rejecting the commercial cultivation of GM mustard in the Supreme Court around mid-September. 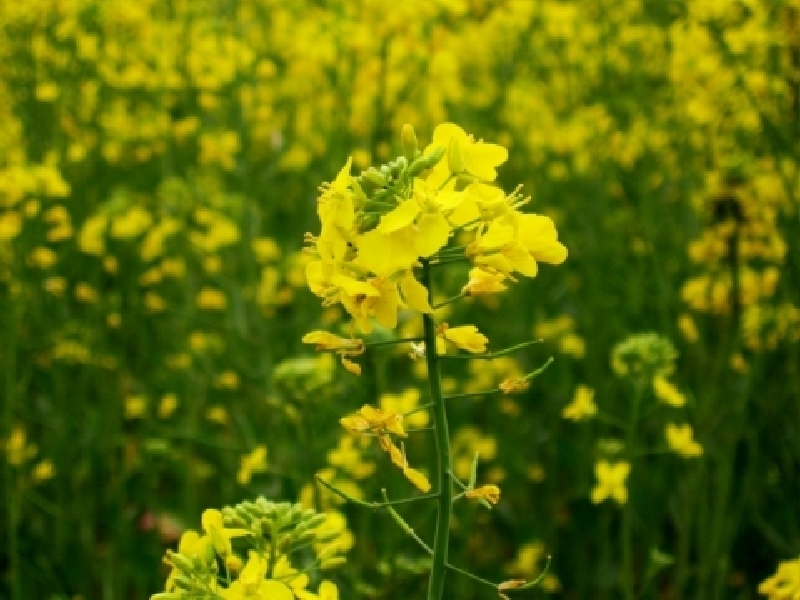 Post the completion of public consultations on the safety dossier document of GM mustard variety developed by the Delhi University scientists, it was widely expected that the government would make its position clear. However, that didn’t happen, indicating that there was a lack of consensus or may be political repercussions. Later the sudden demise of Late, Mr Anil M Dave, then environment minister, also led to the continuity in undecided approach. However, now on July 31, 2017, the SC bench comprising Chief Justice J S Khehar and Justice D Y Chandrachud told Additional Solicitor General PS Narasimha asked the government to make its position clear so that if former takes a decision in favour of GM mustard crop, they would like to hear the petition challenging the commercial release. The Chief Justice led bench was hearing Advocate Prashant Bhushan who is fighting the case on behalf of original petitioner Aruna Rodrigues who had gone to SC earlier citing safety issues in GM mustard. As per various media reports, Mr Bhushan alleged that the government was sowing the seeds in various fields and said the bio-safety dossier has to be put on the website, which has not been done yet. The argument put forward by the bench that the mustard sowing season begins in the month of October and thus the issue needs to be finally heard in mid-September, has now put a pressure on the government to arrive at a decision within the definitive timeline of one and half months. After years of pushes and pulls, finally, the days of better clarity are expected to emerge from policymakers’ side. Hopefully! Rahul Koul is the New Delhi-based journalist who writes on a variety of topics related to the bioscience sector. With nearly 13 years of experience in this domain, Rahul has been covering the industry and academia extensively besides contributing to many knowledge reports periodically. While being a qualified biotechnologist, he also has academic credentials in management and journalism. Rahul’s belief in acquiring knowledge through continuous learning process keeps him always ready for stimulating discussions. His assignments have taken him to different destinations within the country and abroad. He received CyberMedia Person of the Year Award (Speciality Media Group Category) for journalism successively in 2010 and 2011.